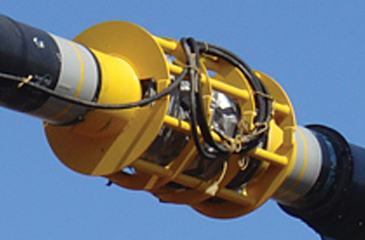 Oil States is the industry’s most experienced supplier of tension leg mooring components, having supplied equipment for the majority of the TLPs in service today. Our experience, and our ability to offer the complete tendon package as one company, is unrivaled in the marketplace. We can offer the top connector with integral flexible element, tendon tension monitoring system, Merlin® connectors and bottom connector with integral flexible element, plus all the tools required for quick and safe installation. Proven performance: 160+ top connectors, and 100+ bottom connectors supplied, installed and in service today. 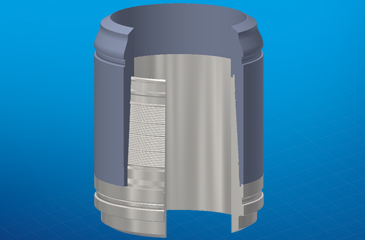 Slip-segmented design allows ratcheting to aid installation in rough weather. 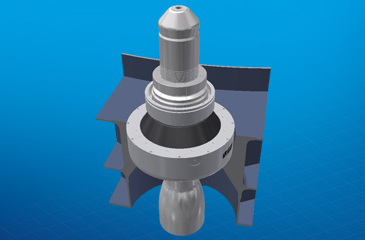 Many different field-proven designs available for different sizes dependent on loads for open or closed porch TLP design. Over 40,000+ Merlin™ connectors supplied, installed and in service today. Superior fatigue characteristics due to high pre-loaded connection. Permits onshore NDT of tendon welds. Extensive testing, including fatigue, pressure, bending and tension to failure, completed on a variety of sizes. Precisely measures and monitors tendon tension through sensors in transmitting data used to calculate load, direction, and bending moment information. Accurate measurement to ensure that all tendons are installed with equal tension. 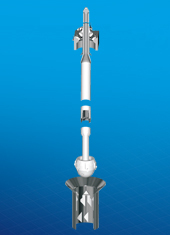 Consistent measurement of dynamic loading throughout the platform’s service life; supports long-term platform load management by providing reliable determination of reserved buoyancy. Use of variable reluctance measurement technology (VRMT) developed specifically for tendon tension measurement avoids the use of strain guages, ensuring a stable measurement over design life of more than 30 years. Diver replaceable/repairable components. Oil States can also offer porch mounted systems as single source supply. 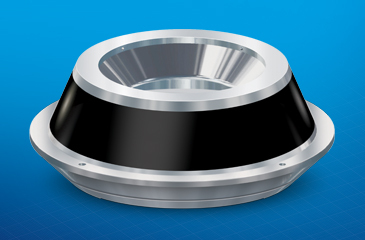 Tendon bearings minimize bending moment at the top and bottom of each tendon. Significantly reduces fatigue damage despite high tension and nearly constant motion of the moored structure. Flexible elements extend the life of tendon equipment. Proven, reliable technology with approximately 500 in continuous service.